I have emailed Tim but thought I'd throw it out here whilst I wait. I have the VV led mod on my 200 tapped off at the 50v capacitor as suggested. However now I'm installing Warneck 200 board there is no dedicated led feed as it's assuming your still using neon off mains. Now there is s 63v cap in the place where the old one would be, albeit laid flat on old board. So would I be correct in thinking just tap it off at that 63v cap and alter resistor value on back of led which is configured for the far right 50v cap on old board? Got my reply from Tim, and I'm sure he won't mind if I post it here incase other people have an LED fitted prior to purchasing his amp. Simply solder the LED leads into the pads marked VARIVIB (OPT). RED is +28VDC, and BLK is GROUND. 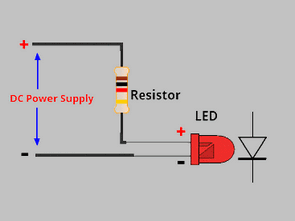 The LED must have a resistor in series with it- it hopefully already does. This tap is protected through a self resetting fuse such that if it gets shorted for some reason it doesn't take down the whole piano. This is much better than going direct to the power supply caps. I don't know what voltage your LED was originally set up for, so if it isn't bright enough or too bright, you may need to change the resistor that is (hopefully) in series with it. Tim suggests taking it off the 28v pad, a typical LED I've found online (10mm Orange LED) has a forward voltage of 2.2v and a forward current of 20ma. Good information, but if one uses a high-efficiency LED, 10 mA may be more suitable.